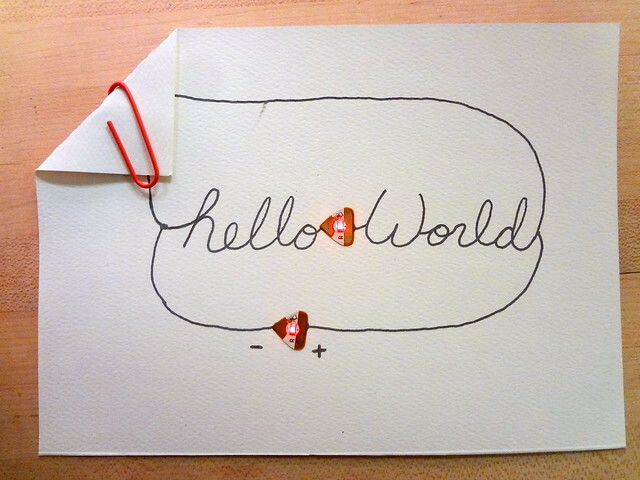 Writing in circuits with a conductive ink pen! 2. 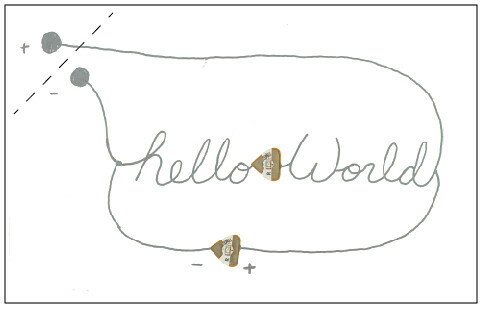 Trace over the gray lines with your conductive ink pen or conductive paint. 3. Stick LED Circuit Stickers over the sticker images. 4. Fold along the dotted line to make your battery holder. 5. Clip in a coin cell battery, + side up, to make the lights shine!